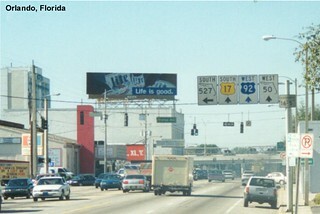 Photos of yellow US 17 signs in Florida can be found here on the Destination Florida website. Information about alignment changes and old photos of yellow US 17 signs can be found on the Florida in Kodachrome website. Details of changes to the alignment of US 17 in Florida can be found on the U.S. Highways: From US 1 to (US830) website.